Fairness and glowing skin are the things desired by every women and man, which is the reason why most of the brands of skin or face fairness soaps in India have a great patronage and are among the most selling soaps in the country. 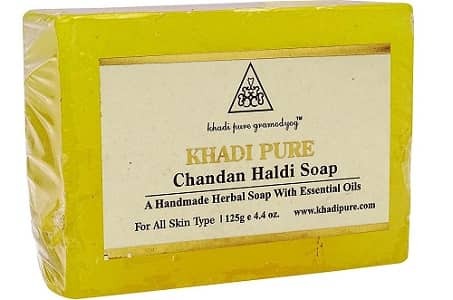 One of the best fairness soaps in India is the Ayurvedic soap called Khadi Haldi Chandan Fairness Soap, which combats not only dark skin tone, but also other skin problems like wrinkles, acne and blackheads. The soap is enriched with herbal ingredients like turmeric, sandalwood, lotus and aloe. 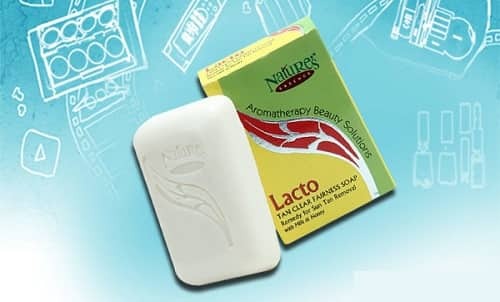 It is priced at Rs 55 for 125 g.
The Nature’s Essence Lacto Tan Clear Fairness soap increases fairness by reducing formation of melanin. 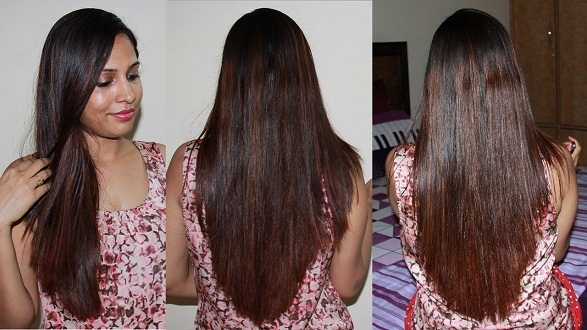 It gives a naturally fairer skin with the help of milk and honey. The soap comes at a price of Rs 55 for 75 g.
Featuring next on this list is Vaadi Herbals Luxurious Saffron Soap, which is an effective product resulting in fairer and radiant skin, on account of presence of saffron and goat milk in it. This gentle fairness product gently removes pigments from the skin to make it lighter and glowing. A 75 g pack comes for Rs 38. 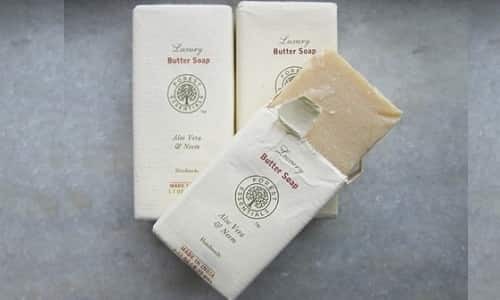 Containing the effective natural ingredients like fresh cow milk, honey and saffron, Forest Essentials Luxury Butter Soap is a top quality fairness soap, which is considered beneficial for smoother and fairer skin through all seasons. 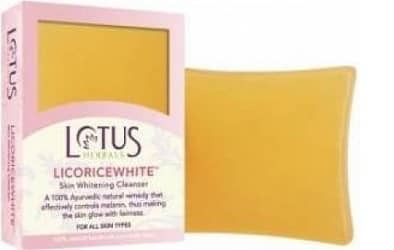 It is priced at Rs 395 for 125 g.
Lotus Herbals Licorice White Skin Whitening Cleanser is the next skin lightening soap popular in India. The soap makes your skin fairer by controlling the formation of the skin pigment, melanin, as well as reduce dark spots. This soap has a fruity fragrance and contains licorice and manjistha, which give speedy results. 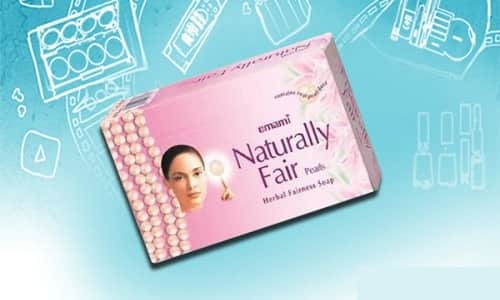 It is priced at Rs 70 for 100 g.
The next name in this list is that of Emami Naturally Fair Pearls Herbal Fairness Soap, which is enriched with herbal ingredients like aloe vera, sandalwood, saffron, licorice and chamomile, along with pure pearl dust. All of these cleanse and whiten the skin in a mild and effective manner. 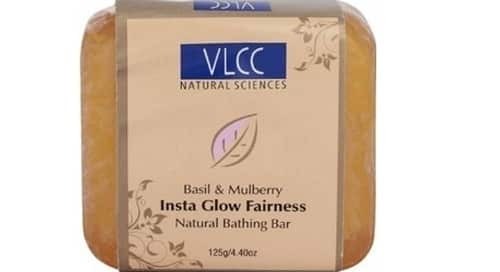 The soap is available at Rs 75 for 75 g.
Featuring next among the best fairness soaps in India is VLCC Insta Glow Fairness Soap, which contains the goodness of herbal ingredients like mulberry, basil and almonds to give you smooth, fair and glowing skin without causing any adverse reaction. It keeps your skin moisturized all day long. A 125 g packing comes for Rs 85. 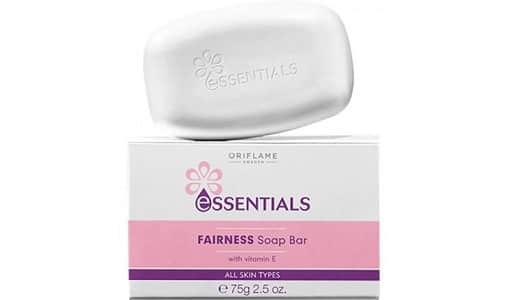 Next on the list of top 10 fairness soap in India is Oriflame Essentials Fairness Soap, a smooth cream based formula containing a special skin lightening complex to give you whiter skin by deep cleansing your skin pores. 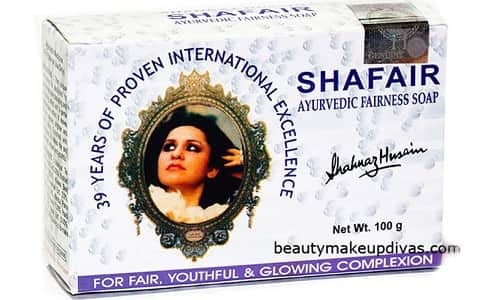 This all season soap is available at a price of Rs 79 for 75 g.
One of the leading fairness soap in India comes from the trusted brand name of Shahnaz Hussain, Shahnaz Hussain Shafair Fairness Soap, which contains rich natural ingredients like honey, lemon, saffron and turmeric, to give you a visibly fairer skin tone with regular use. Besides whitening your skin tine, it also moisturizes it naturally. 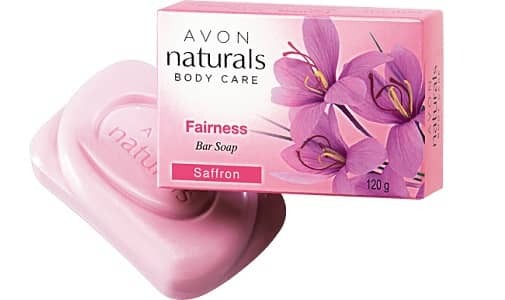 The soap is priced at Rs 150 for 100 g.
Avon Natural Fairness Bar Soap is an excellent fairness soap, which deep cleans and whitens your skin mildly with natural ingredients. It is suitable for even the most delicate of skin types and is priced at Rs 75 for 100 g.
All these fairness soap brands have made a trusted reputation and are top selling in India.